A healthy option for grilling days, high in protein low in carbs. 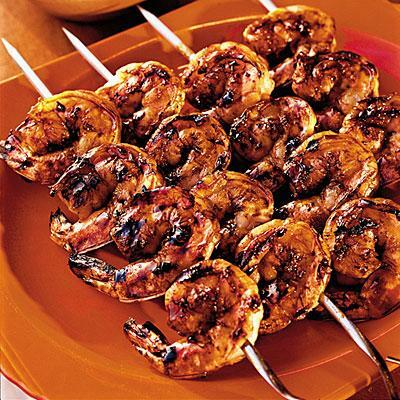 Toss shrimp with jerk seasoning; place in refrigerator for 30 minutes. Take the bell pepper, and red pepper and cut in thick slices. Thread shrimp, cherry tomatoes and peppers slices onto skewers. Brush with olive oil and grill about 3 minutes on each side, or until done.